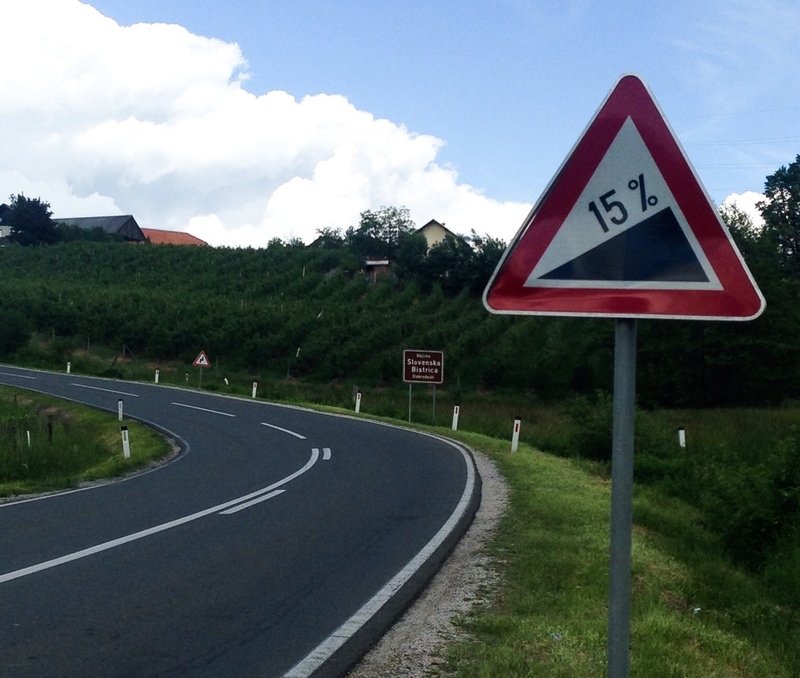 Cruel, cruel Slovenians… I climbed and as is always true, I was rewarded with wonderful vistas and stronger legs. 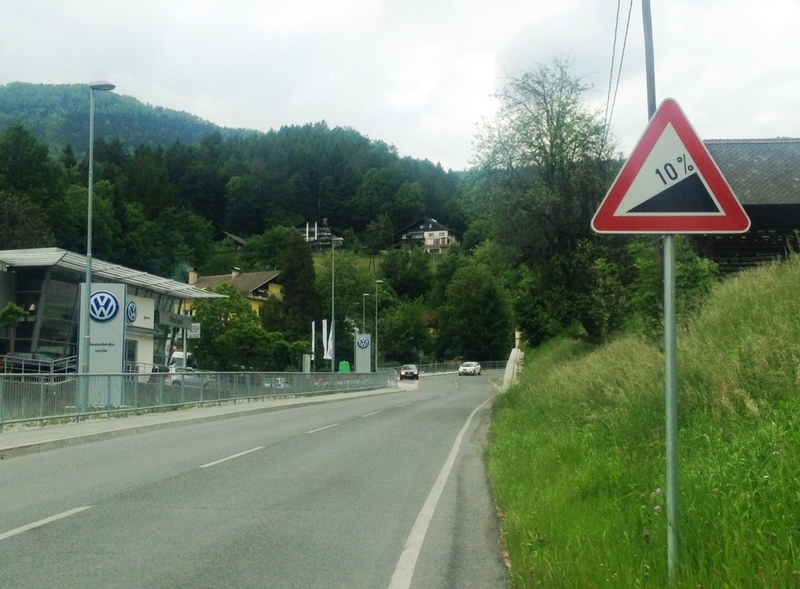 If you enjoy the inclines, especially if you have tires a bit wider than my 32 mm, then Slovenia is the place for you. It is full of well-developed, slightly confusing bikes paths, mostly geared to offroad riding. 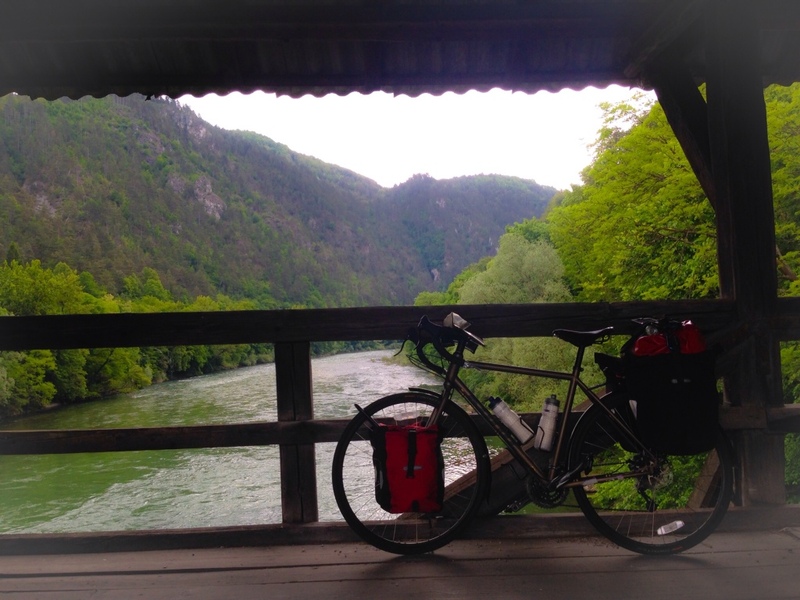 I stuck to paved roads and headed east skirting just south of the Julian Alps. 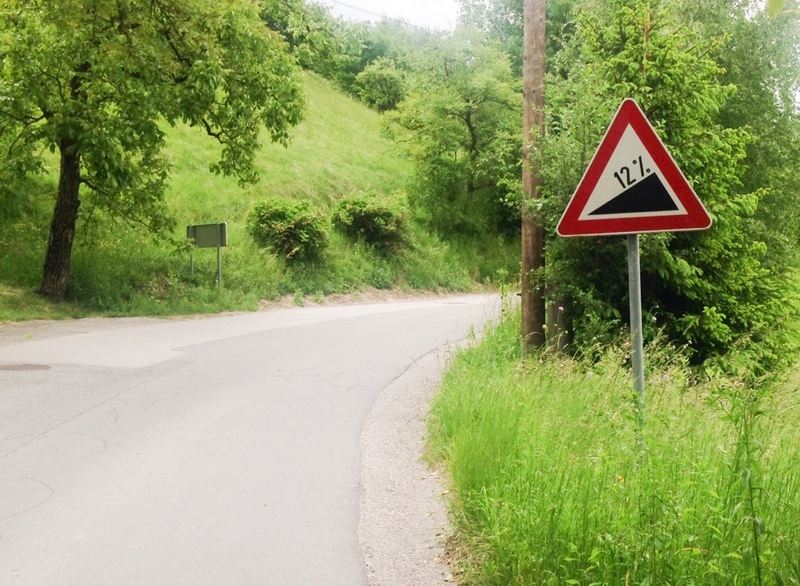 A couple days after my initial climb I encountered this grade, ugh. And I actually saw an 18% sign, but was on a downhill and hanging on for my life. I was not about to stop to take a pic. Slovenia was one of the destinations that I was most excited about on this trip and it lived up to my expectations. This small geographically and culturally fascinating country is only about 20,000 sq. miles and claims just over 2 million people. Something like 60% of the country is covered in dense forest, containing incredible bio-diversity, and the abundance of springs and underground aquifers make it one of the most water rich countries in Europe. I experienced firsthand just how water rich. 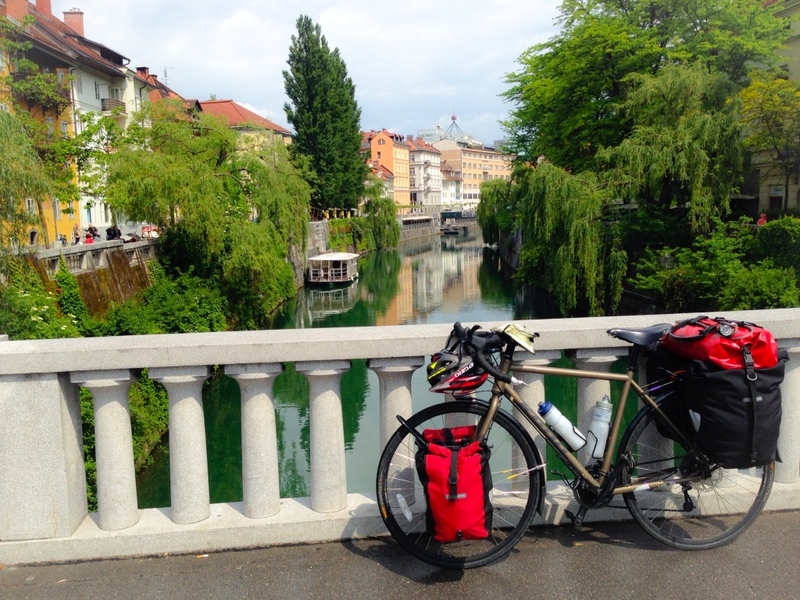 On my second day into Slovenia the rain that would keep up for about a week began. 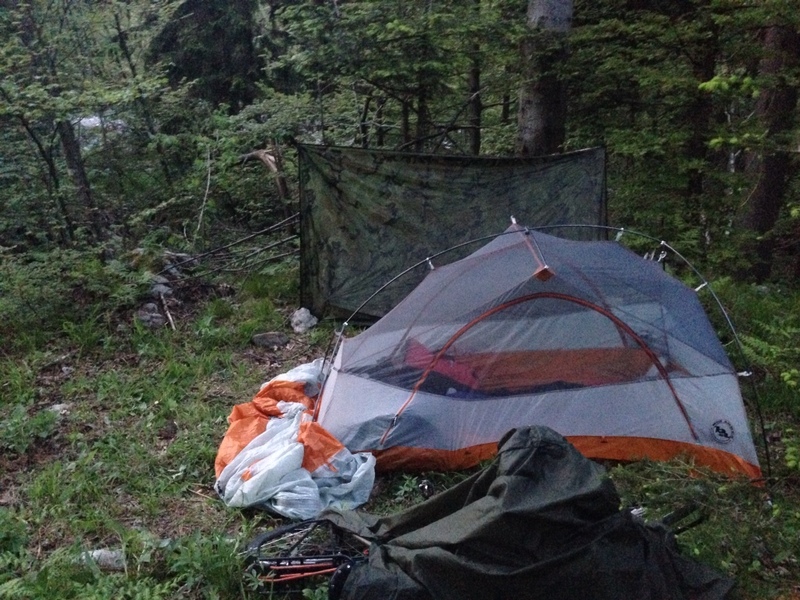 I never thought that I'd be wild camping on the top of a mountain in Slovenia, barely protected from hail and gailforce winds by my little tent, but there I was. I slept surprsingly well. The tent is the Big Agnes Copper Spur UL1 by the way. It has been a great choice! After a couple days of stealth camping, several without a shower and little contact with fellow humans I was turning into a bit of a wild thing. So I was shocked when I entered a larger town and a local cycled up beside me and asked what I was up to. A coffee and conversation with Jana (pronounced Yanna) was a much needed reintroduction to civilization. Thank you Jana! Please know that I have been much more assertive in saying hellos. Good luck with med. school and your move home! My wandering also took me through the main metropolitan areas of the country. 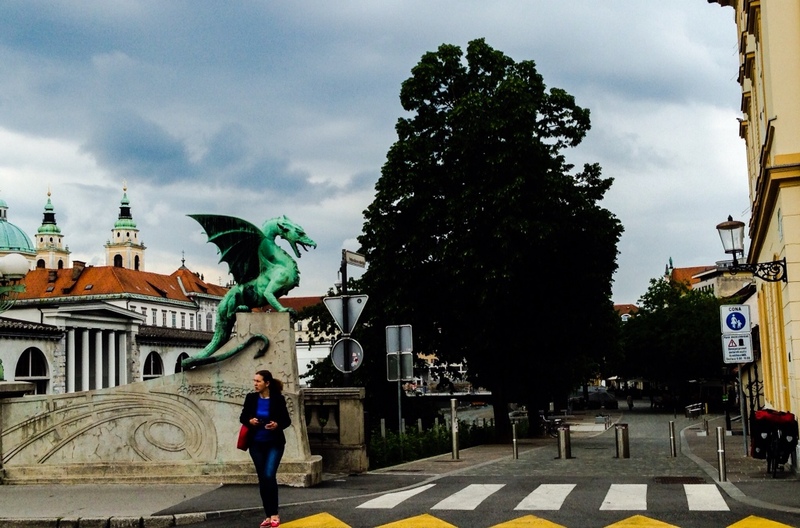 The capital, Ljubljana, a gorgeous, compact town originates from Roman times, but most of the well-preserved buildings you'll see are from Napolean's era. It is along a river criss-crossed by foorbridges and lined with walking/cycling paths. There was a brief break from the rain and the riverbank came alive with markets, restaurants and coffee houses. Cafe culture is alive and well in this city. The rain drove me to finally try out Warmshowers.org in Europe. Why I waited, I have no idea! 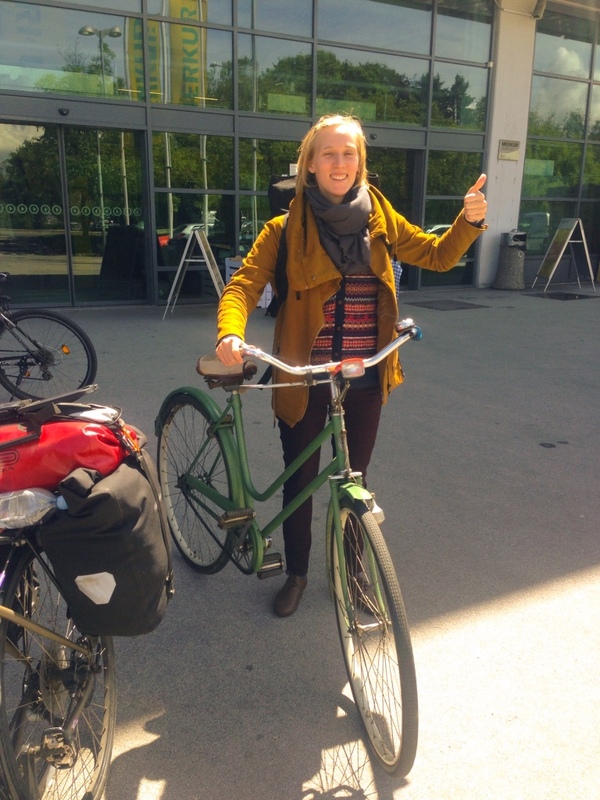 For those of you not familiar, it is like Couch Surfing except for cycle tourists. 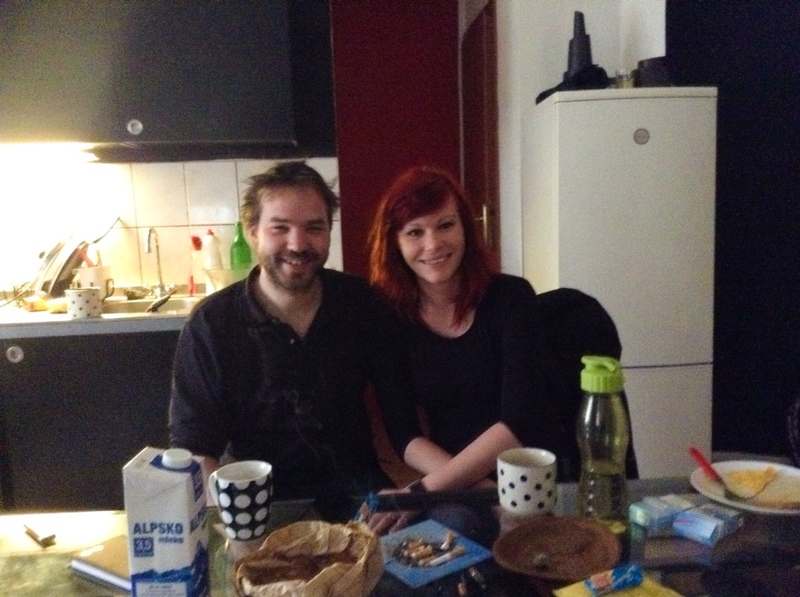 I needed the break from camping and Borut and his girlfriend in Maribor were kind enough to take me in. They treated me to great conversation, a fantastic hardy dinner and my first micro-brew pale ale of the trip at a bar just downstairs from their flat. I believe it was called Hungry Fish. And it was oh, soooo good! 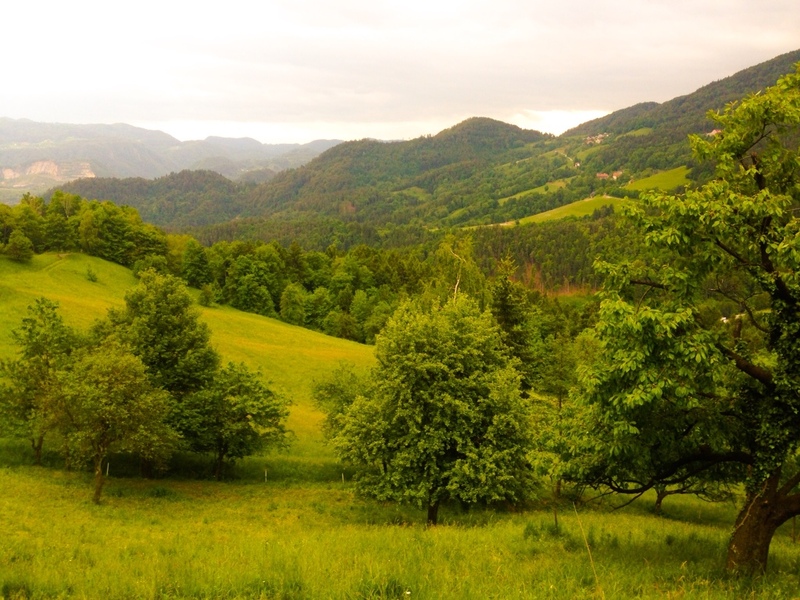 My final days in Slovenia took me through countryside where mountains gave way to foothills and eventually to flat open fields. Here, I spent a final evening in the quiet town of Ptuj, apparantly voted Slovenia's prettiest town. It is gorgeous, but my vote is for Ljuljana. I shared an entire hostel with one other guy who only seemed to speak Slovenian. And though we shared no language he insisted on giving me a candybar. 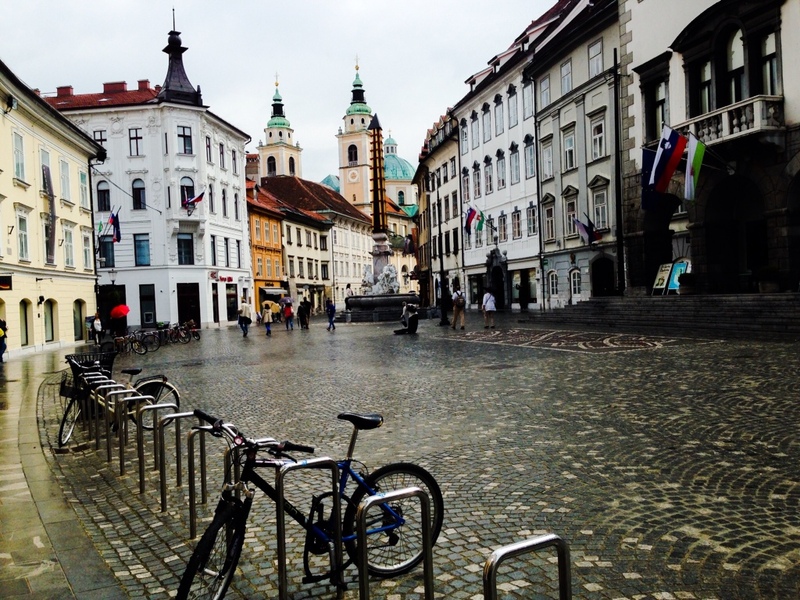 Though small in size, Slovenia proved to be big in spirit and hospitality. Hope to return one day with a mountain bike!